Eero Kilpi is a distinguished businessperson, (kauppatieteiden tohtori), and the President of Finlandia Foundation's New York Chapter. 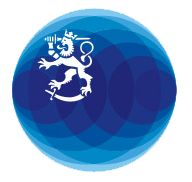 Finlandia Foundation New York Metropolitan Chapter, Inc is the leading non-profit organization dedicated solely to promote Finnish-American cultural exchange in the tri-state area. They give out scholarship to students and arrange various cultural events throughout the year and have given more than half a million dollars in scholarships and grants so far. “We were living quite contently in Helsinki with my wife and two kids back in the nineties”, Mr. Eero Kilpi recalls, “Both me and my wife were pursuing our careers aggressively back then. Slowly we realized that our kids were kind of drifting along and not getting the attention they deserved. We decided that we needed a sort of time off as a family in order to take a new look at life. We started to look for jobs abroad, never with the intention of specifically moving to the United States.” However, as life rarely goes as planned, the Kilpi family packed their bags and moved to New York in the summer of 1998. “First my job was to be a stay-at-home father while my wife had landed a job at Pöyry’s New York office. For the first five years of living here, every spring my wife asked 'should we move back to Finland'. Every time I answered, 'Maybe not yet this year'. Come sixth spring it was my wife who said that we won’t be moving back to Finland yet.” Mr. Kilpi laughs. With globalization and Finland finding its voice in the global arenas, running into Finnish goods outside the borders Finland is not such a rare occasion anymore. “I can find licorice from Panda, Finlandia cheese and sour crackers from Vaasan in my neighborhood store!” Mr. Kilpi agrees happily. One can also run into people knowledgeable about Finland in the most peculiar places in the United States these days. “I was calling for assistance on filling our tax forms, and I was on the phone with a lady who had lived in upstate New York some years ago. She could not believe that she was on the phone with a genuine Finn! Her kids had gone to a school where they utilize Finnish teaching and schooling methods because Finland has the best education system in the world. These kinds of situations have increased over the years. People know more and more about Finland here.” Mr. Kilpi explains.